Birthdays should be a special event for everyone! But we know how difficult it can be to think of the perfect, creative birthday ideas or gifts to give, especially when you have to think of something new, exciting and thoughtful every year! Here at The Dating Divas we absolutely love spoiling our spouses. 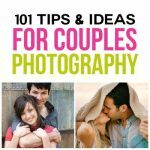 Over the years, we have come up with sooo many fun, unique and creative ways to make your spouse feel special on their birthday! 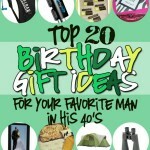 We wanted to round up some of our favorite birthday and gift ideas and get them all in one place so it is easy for you to find an idea that your spouse will love! 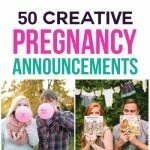 20 fun, unique and creative birthday ideas to inspire you for your spouse’s next big birthday bash! We have birthday party theme ideas, birthday gift ideas, birthday cards AND birthday games! Everything you need to celebrate your spouse on their BIG day! …and so much more! Most of these birthday ideas will be just for your spouse, but a lot of the more creative birthday ideas you can easily include your family to make the celebration even bigger. 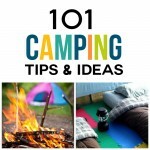 A few of the birthday ideas you’ll even want some help from friends and family to pull off. But we promise ALL of these ideas will make your spouse feel special on their birthday! Let the Birthday Ideas Begin! 1. Birthday Balloon Surprise: This is such a cute and special surprise that will require a little bit of soul searching 😉 But we’re sure your spouse will appreciate the effort. You’ll present your spouse with a bundle of balloons and your favorite memory from every year you’ve been together. How sweet and thoughtful is that? 2. 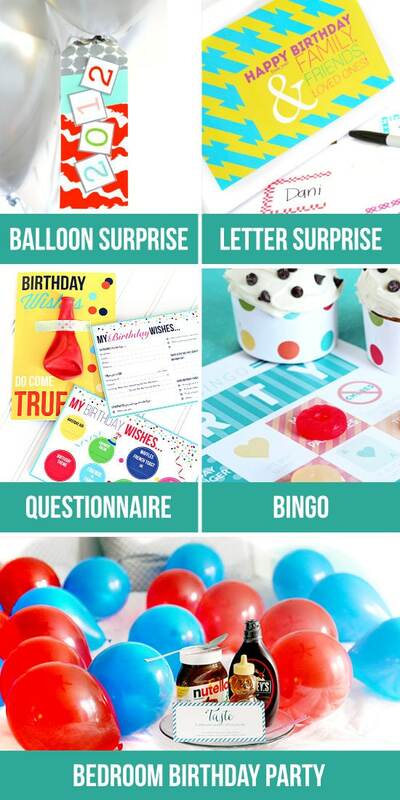 Birthday Letter Surprise: Okay, this idea is just too fun! 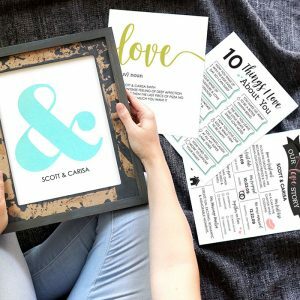 Earn brownie points by getting all your spouse’s friends and families to write letters in expressing how much they love and adore your spouse. The idea is that your spouse will have 30, 40, 50 (whatever birthday it is) letters to read! 3. Birthday Questionnaire: Take the guesswork out and make the birthday of their dreams a reality with our detailed birthday questionnaire! It doesn’t have to be hard to gift them the birthday of their dreams! 4. Birthday Bingo: Here is a fun and creative way to celebrate your spouse’s birthday for the day or even all week long. It’s a fun game and a gift in one! Sounds pretty perfect! 5. Bedroom Birthday Party: Spice things up after the kids are in bed with an intimate birthday party for two in the bedroom… This will definitely be a sweet birthday celebration your spouse will never forget! 6. Birthday Cards: This birthday card pack is the perfect blend of DIY meets “already done for you.” Take your card-giving to the next level with these clever cards that will be the perfect addition to your spouse’s birthday. I love how each card has its own unique theme that will allow you to pull off a one-of-a-kind birthday celebration! 7. DIY Birthday Banner: Looking for a super easy idea to catch your spouse’s attention? Make this birthday banner that shares the top 10 reasons you love your spouse. This will be a wonderful surprise for your spouse to wake up to! 8. 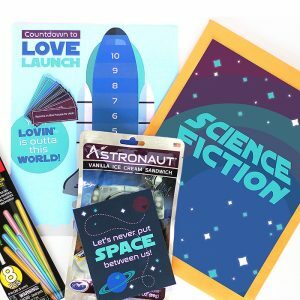 Birthday Countdown Chain: Make the countdown to your spouse’s birthday a big deal with fun activities and love notes leading up to the big day! Who says you can only celebrate a birthday just one day a year? 9. A Night of Surprises: If the idea of a new surprise every hour throughout the night appeals to you, this will be a total hit! 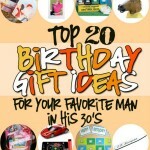 Personally, this is one of our favorite creative birthday ideas!! My kids loved setting this up for their dad for one of his birthdays. They helped choose the activities and they helped stuff and hang the balloons. A night of surprises is completely customizable, the sky is the limit. 10. 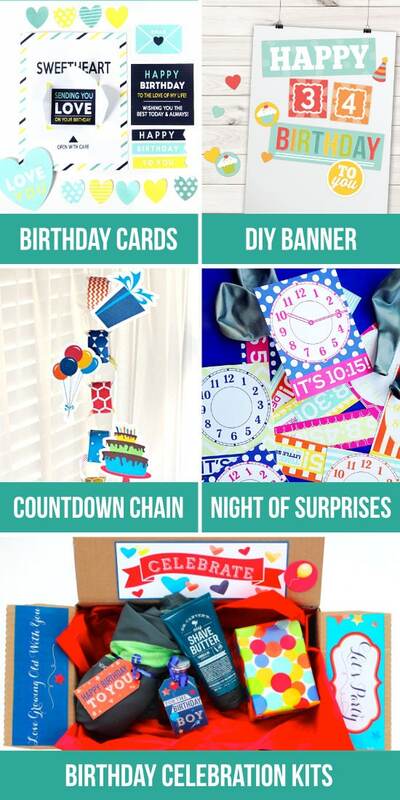 Birthday Celebration Kits: Create unforgettable memories with our DIY Birthday Kit! 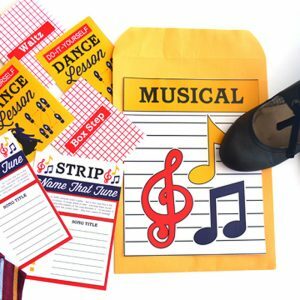 We provide everything you need to pull off a fabulous birthday celebration including decor, treat embellishments, cards, a birthday box, activities and more! 11. Sticky Notes Surprise: Isn’t this the cutest birthday gift idea? Share 100 things you love about your spouse for their birthday. These sticky notes are fun and easy to print up and we’ve even included a template to help you place them in the shape of a heart! They’ll love this surprise so much they won’t want to take it down! 12. 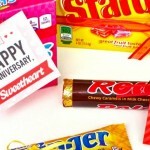 Clever Candy Sayings: Leave some delicious treats around the house for your sweetie to find on their birthday! 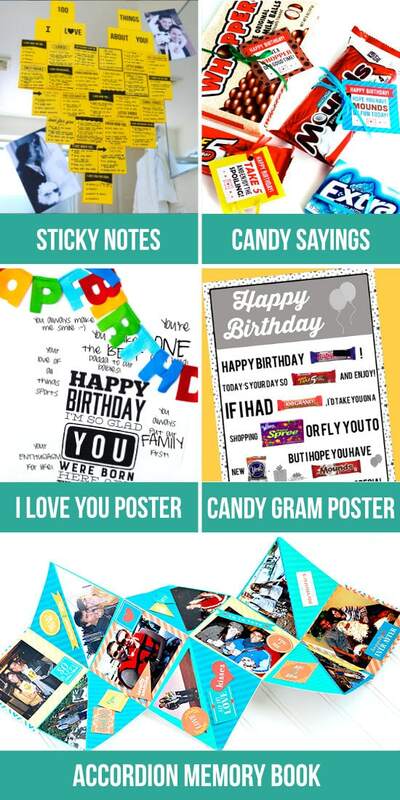 Attach one of these “Birthday” or “I Love You” candy sayings to make them extra special! 14. 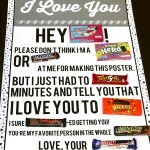 Candy Gram Posters: Ahh… the classic candy gram! This is a giant poster that takes all the hard work out of creating a clever candy gram… but it’s still super sweet and thoughtful! 15. Accordion Memory Book: This is a meaningful birthday gift that any spouse would love to receive! For your spouse’s birthday this year, take a walk down memory lane with this adorable DIY memory book. 16. Week Long Lovin’ Kit: Another way to celebrate your spouse for a whole week is to share this simple week-long lovin’ kit! If you are a busy couple, but still want to let your spouse know you are thinking of them, this is the perfect idea for you! 17. Around the World Date Night Kit: Start a new tradition for your sweetheart’s birthday with our Around the World Date Nights. These are some of the absolute best dates on our site and your spouse will love the fun, adventurous ideas as well as the intimate ideas that accompany each date. 18. 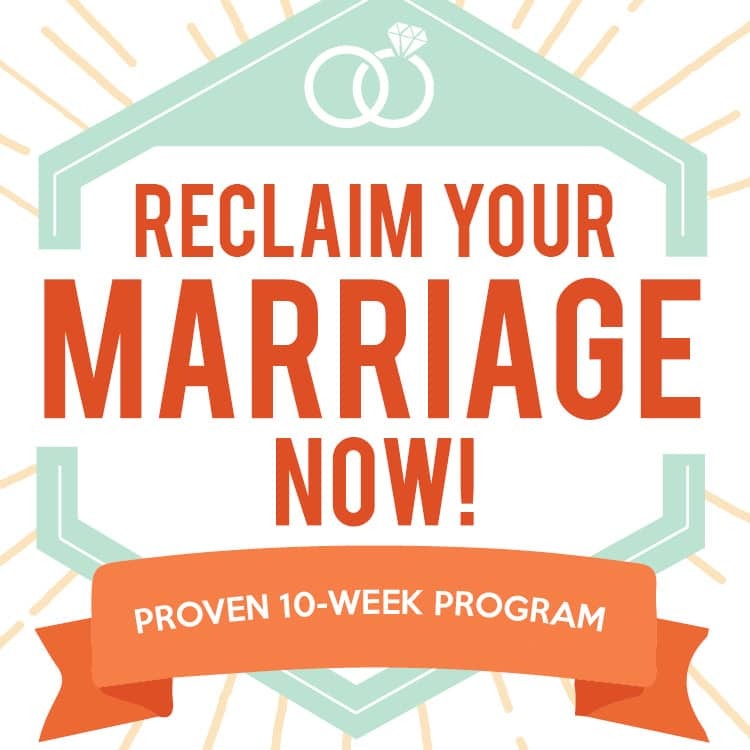 Love Letter of the Month: Enroll your spouse in the Love Letter of the Month Club and your spouse will not only feel special on their birthday, but all throughout the year as you send love letters that express your feelings of love, encouragement, and adoration! 19. All About You Basket: Gift baskets are a great way to celebrate! One of our favorite baskets for birthdays is the All About You Basket. Your spouse will definitely feel a little spoiled with a basket that represents all their favorite things! 20. 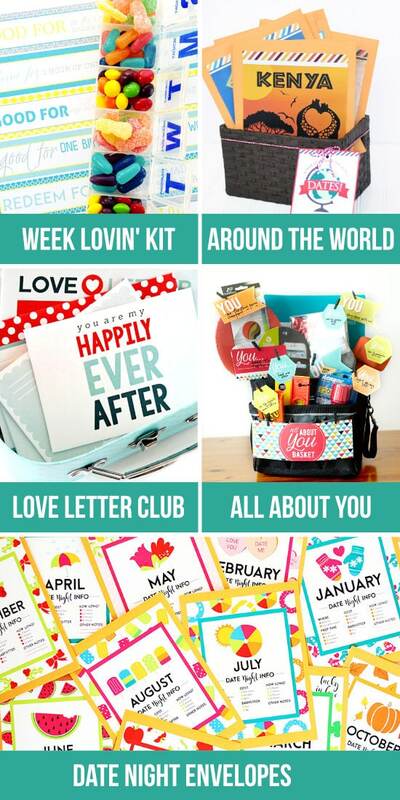 Date Night Kits: If you and your spouse love quality time together, a year of date night kits will be the perfect surprise for your spouse! Each month when you go on your date, your spouse will be reminded of their special day. If you’re looking for more creative birthday ideas, we’ve also rounded up 101 Birthday Gift Ideas, plus we have over 100 Birthday Party Themes you can use to aid your party planning! 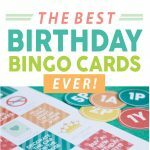 And if you love printables as much as we do, you might want to check out 101 Free Birthday Printables. Glad you love them!! Thank YOU! Such a great post, Carisa!